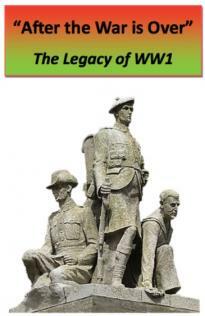 News, book reviews, local history society talks and the occasional short article made up the contents of its 12 or so A4 pages which were published three times a year. The journal gradually expanded to more than twenty pages per issue and a cover page and list of contents made its first appearance in Issue 14 (February 1988). By the time a glossy cover was introduced in Issue 27 (February 1993) the journal had fifty pages packed with longer articles, book reviews and many news items. During the early 1990s, the editors experimented with theme issues and among the topics were 'Sports History'; 'Scottish Newspapers'; Crime and Punishment' and 'Maritime History'. The most recent journals (Issue 80 onwards) have a colour front cover, a number of colour pages and the layout has been updated. 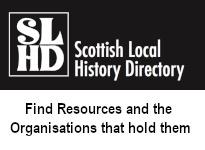 Over the years since it was first published, Scottish Local History has published fully referenced articles on a huge range of topics drawn from throughout Scotland. 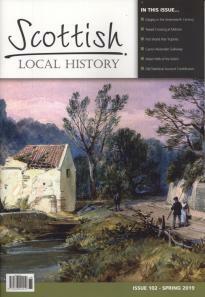 The journal is also a valuable record of the activities of many local and family history societies and their publications. Details of issues 1 to 79 are listed here: Journal Content Index.